We’d love your help. Let us know what’s wrong with this preview of Guardians of The Path by Nicole DragonBeck. Welcome to Demona, a land where music is the most powerful form of magyc. At first glance, this may look like Ria's story, but this tale belongs to everyone who fights to save magyc - Witches, assassins, princesses, and even Death Himself. 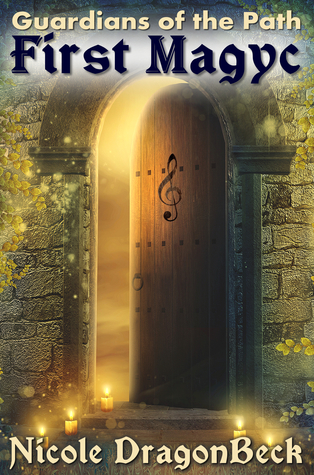 Ria Westerfield had never heard of Demona or the Path, but when she helps a mysterious Guardian who is trapped between worlds, she is emb Welcome to Demona, a land where music is the most powerful form of magyc. Ria Westerfield had never heard of Demona or the Path, but when she helps a mysterious Guardian who is trapped between worlds, she is embroiled in his struggle to protect his home and the very force of life itself. To ask other readers questions about Guardians of The Path, please sign up. going to his head with a groan. said, examining the slight dent in her cast-iron frying pan.